LONDON - Russia and Syria are responsible for the "heart-breaking human suffering" in the Syrian rebel-held enclave of Eastern Ghouta, US President Donald Trump and his British counterpart Theresa May said Sunday. The 2 leaders discussed the "appalling humanitarian situation in Eastern Ghouta" during a phone call Sunday detailed by May's Downing Street office. "They agreed it was a humanitarian catastrophe, and that the overwhelming responsibility for the heart-breaking human suffering lay with the Syrian regime and Russia, as the regime's main backer," the prime minister's office said. 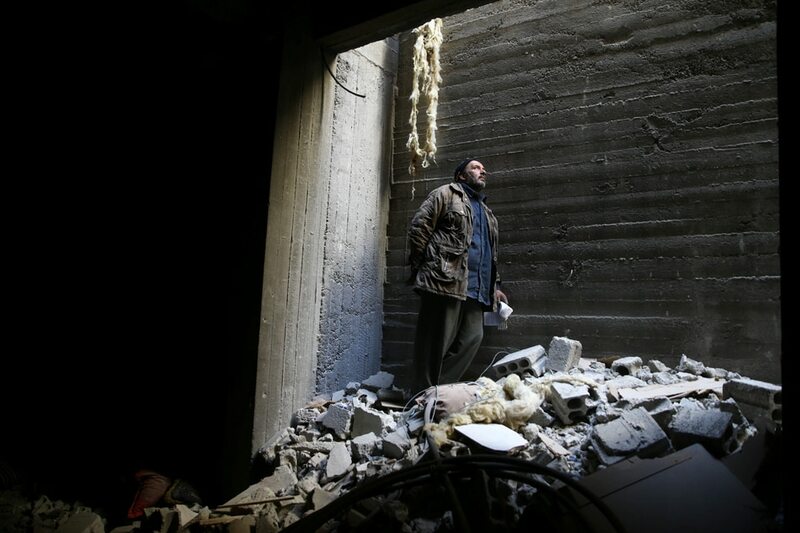 Syria's regime has seized control of over a quarter of Eastern Ghouta, on the edges of the capital Damascus, the Syrian Observatory for Human Rights said Sunday. May and Trump said "Russia and others with influence over the Syrian regime must act now to cease their campaign of violence and to protect civilians".The Syrian government's advance on Eastern Ghouta comes after 15 days of devastating air strikes, artillery fire and rocket attacks that are reported to have left more than 640 civilians dead.